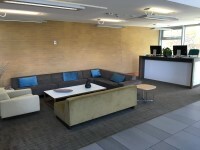 Services / facilities within the building include staff offices, conference room and computer area. The venue is open 24hrs and Reception is staffed 24 hours per day. College Court is located to the south of the City Centre and the Main University Campus. Knighton Road leads off London Road (A6) and Welford Road (A5199), both of which lead south off of the Inner Ring Road (A594). For Sat Nav, use postcode LE2 3TQ. Bus routes 44, 44a, 80 and 80a stop on Queens Road, close to this building. The 80 and 80A routes link this site to the main University Campus, and the 80 bus also goes to the City Centre and the Station. 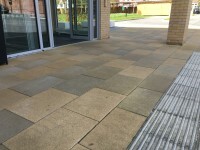 Please see the College Court website Contact Us page for more information on the location of the site. 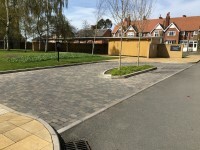 The car park is located in front of the Reception Building. 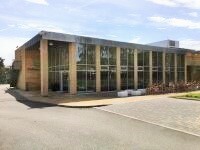 The nearest building(s) to this car park is/are the College Court Conference Centre Reception Building. 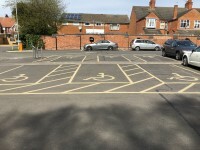 There is/are 6 designated Blue Badge parking bay(s) within this car park. 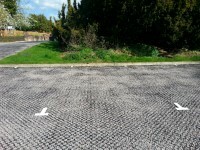 The dimensions of the designated parking bay(s) are 355cm x 600cm (11ft 8in x 19ft 8in). There is sloped access to the car park from the Knighton Road. 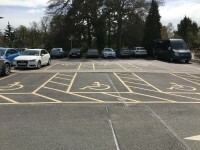 Photograph 4 shows the designated drop off zone. 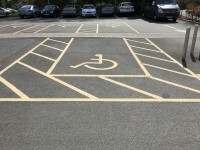 There is an overflow car park available if required. 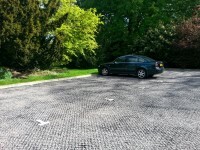 This has a gravel with plastic stabilisation girds surface (shown in photographs 5 and 6). 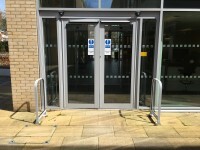 You are on Outside Access (Main Entrance - Car Park). Skip to the next section. The bell is at a height of 120cm. The door(s) open automatically (away from you). 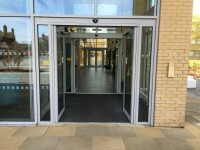 This information is for the entrance located opposite the main entrance. 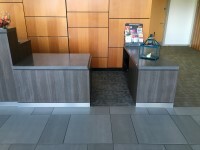 Main reception is located to the left as you enter. 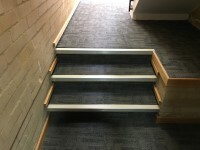 There is an easy ramp, with no handrails, for access to the accessible toilet, staff offices and the conference room. 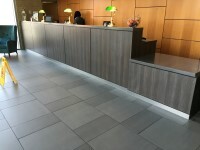 Music is played in the reception area. 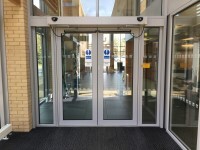 There is a mixture of fixed and portable loops throughout the building. 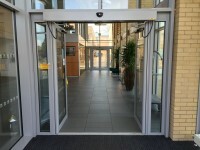 There are manual, heavy, single doors to enter the stairwell on the ground floor. 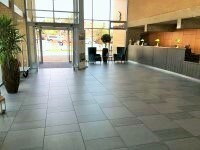 The services / areas on the floors which are not accessible are staff offices and conference centre. 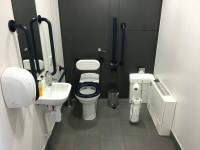 This accessible toilet is 12m (13yd 4in) from the main entrance. 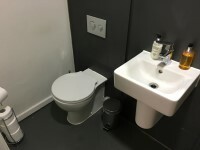 This accessible toilet is located to the left as you enter next to the reception. The height of the hand dryer is 90cm (2ft 11in). The height of the toilet roll holder is 55cm (1ft 10in). 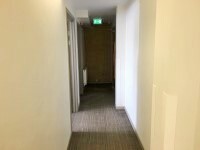 The toilet surveyed is located to the rear of the building next to the staircase. 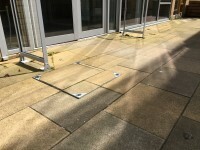 The standard toilet surveyed is approximately 25m from the main entrance. 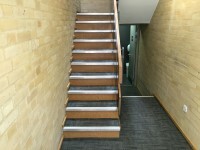 The step(s) is / are located on the corridor leading to the shared toilet.